With a fairly wide open budget, this customer really personalized his project. The homeowner had his son construct this building, so of coarse he was able to save a little money in the labor aspect of things. 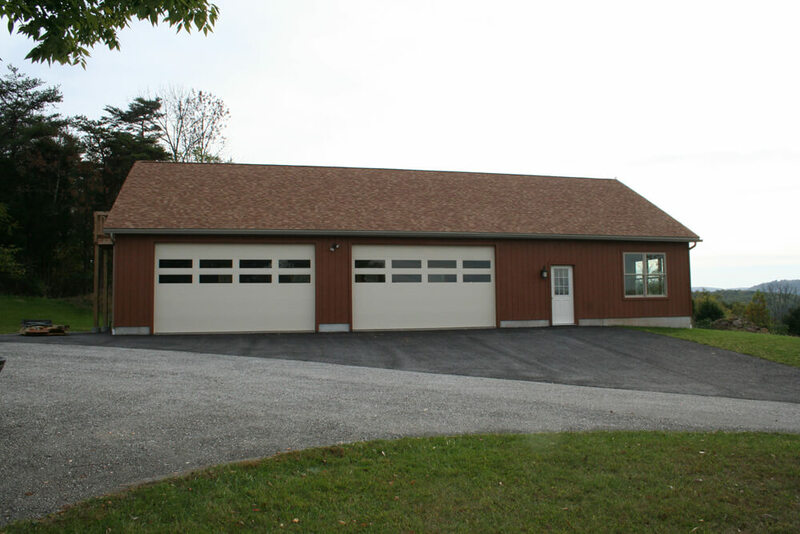 He was looking for a building to fit in with his pre-existing structure, and he was in need of extra storage space, as well as an area for crafts. APM Truss designed a 34' Attic truss that carries a 14' wide room for the extra storage space. He went with a cedar color stain on the T-111 walls to blend in with the county location. The 16x9 Wayne Dalton garage doors with tinted elongated windows allow for maximum entrance. They also offer a very unique look. 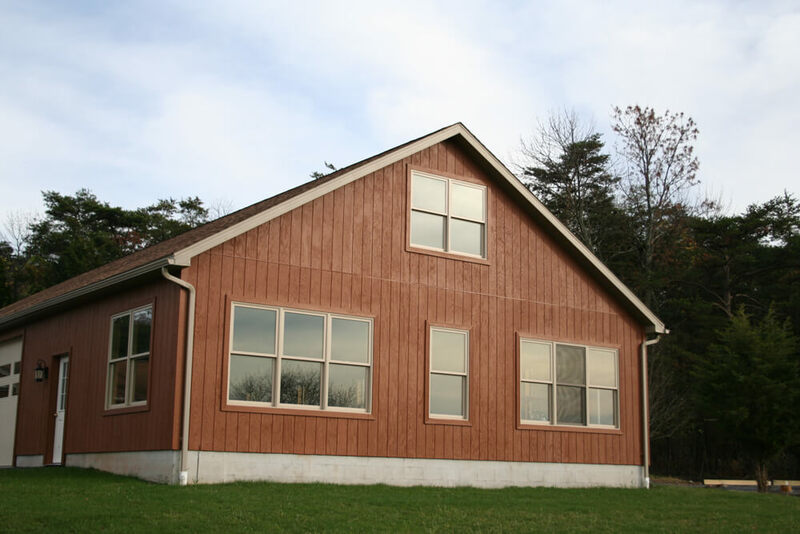 The garage consists of sixteen double hung Marvin-Integrity wooden windows, which allow plenty of natural light to enter the building. A staircase on the back Gambrel wall allows the homeowner to enter the upstairs from the exterior. The customer finished the inside of the garage with drywall and insulation. It feels like you're outside when sitting in the craft room with the windows up on a cool summer morning.